In December 2013, Keith Schubert, Ph.D., associate professor of electrical and computer engineering in Baylor University’s School of Engineering and Computer Science, was a key player on a team of academic and NASA scientists who explored Cueva de Villa Luz, a cave suffused with deadly sulfuric acid near Tapijulapa in Mexico, as part of an expedition funded by the National Geographic Society. 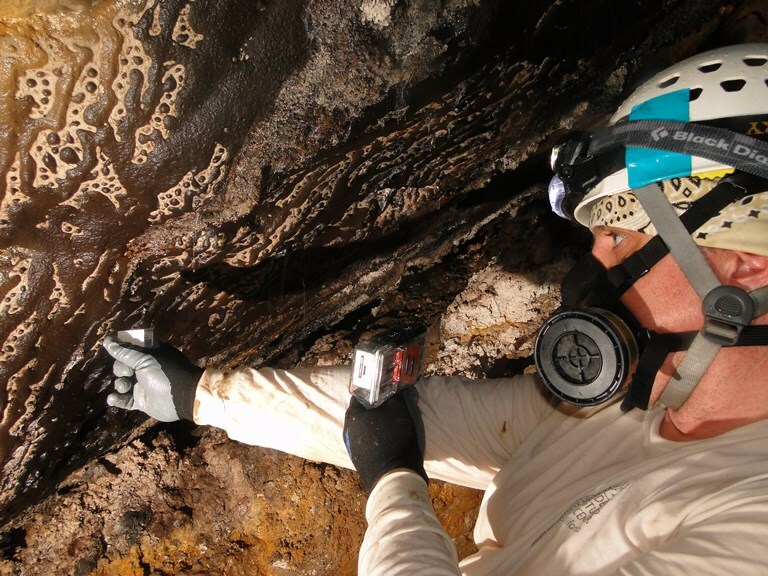 Schubert built and installed custom camera equipment to study images of microbial communities forming on the cave walls. From those intricate patterns created by those communities, Schubert has developed cellular automata and differential equations that he believes can help predict the movement of biological communities as well as the health of extreme environments like deserts, caves and rivers, and, possibly, environments on other planets, like Mars. Schubert hypothesizes that scientists might have discovered that the patterns are a "universal signature" among biological populations, something replicated throughout the world. He has seen the same patterns many times before - in tidal pools in California, caves in Hawaii, in the tropics off the coast of Africa, in the cold of Alaska and in the arid deserts of Australia and Israel. The expedition was featured in the July 2014 issue of National Geographic. Baylor Research and Innovation Collaborative - Dr. Schubert’s electrical and computer engineering lab is housed in Baylor’s new Baylor Research and Innovation Collaborative (BRIC).